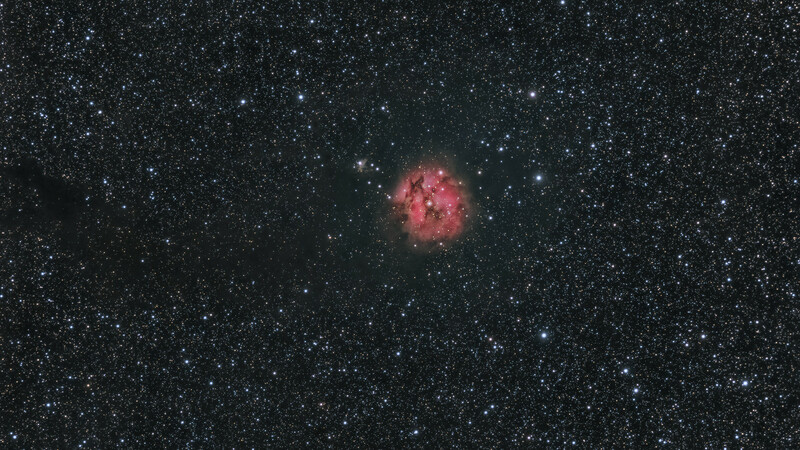 The Cocoon Nebula is embedded in dark dust clouds floating in a sea of stars in the constellaion Cygnus. The nebula is shining red because it contains hydrogen gas that is ionized by the radiation of nearby stars. The nebula is about 3000 lightyears away. The image was made from 77 x 180 s ISO 1600 subs with my K3ii that is attached to a 910 mm telescope. Excellent image, there's such a wide expanse of space, makes us realise how insignificant we really are! Great image. I admire the amount of work that you put in to make it.